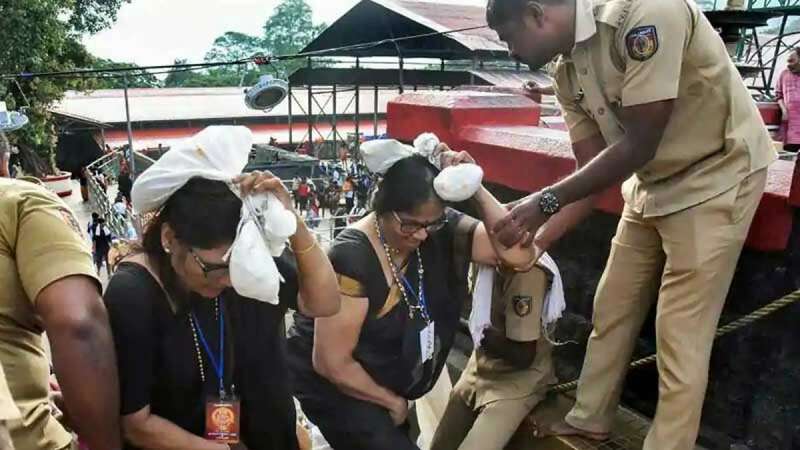 Chennai : A 29-year-old man has been arrested for allegedly assaulting a woman at the Sabarimala temple suspecting her to be of age below 49 years. Identified as Sooraj, the man belongs to Elanthur in Pathanamthitta district. He has been arrested under non-bailable charges— IPC 308 (attempt to commit culpable homicide) and 354 (assault or criminal force to woman with intent to outrage her modesty), police said. Sooraj has been arrested on the basis of digital photographs and videos obtained by the police. The main gates of the temple were opened for two days, where devotees can offer their prayers to lord Ayyappa. According to a recent Supreme Court verdict, the women of menstrual age are also allowed inside the temple. However, the devotees are not convinced with the Supreme Court decision and have been preventing women from going inside the temple.